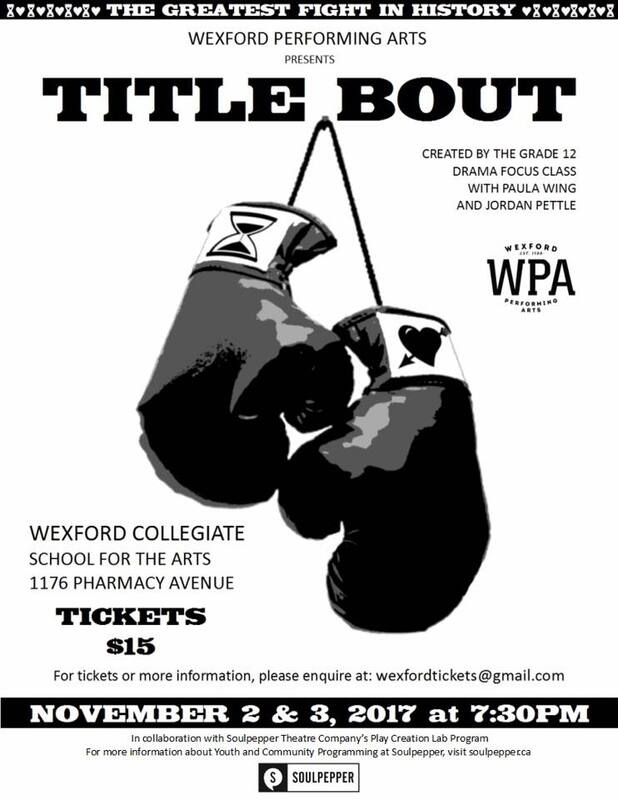 The opening night for our Grade 12 Drama Focus production TITLE BOUT is approaching very quickly! The show will run from Thursday November 2nd to Friday November 3rd. This is a creation by the Grade 12 Drama Focus class with Paula Wing and Jordan Pettle in collaboration with Soulpepper Theatre Company's Creation Lab Program. Tickets will also be selling at that door on the night of the show, $15 general admission & the low price of $10 for Wexford students! For online sales or more information, please enquire at wexfordtickets@gmail.com.